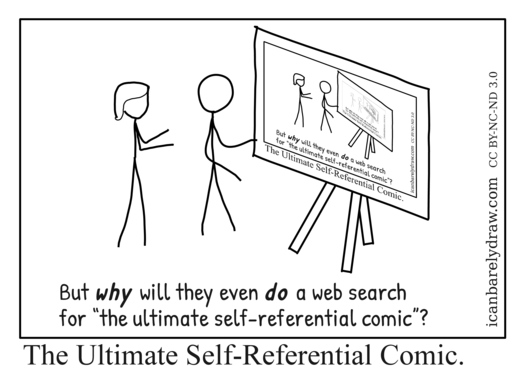 A man and a woman are standing before an easel on which they see a drawing which is just a copy of the current comic. 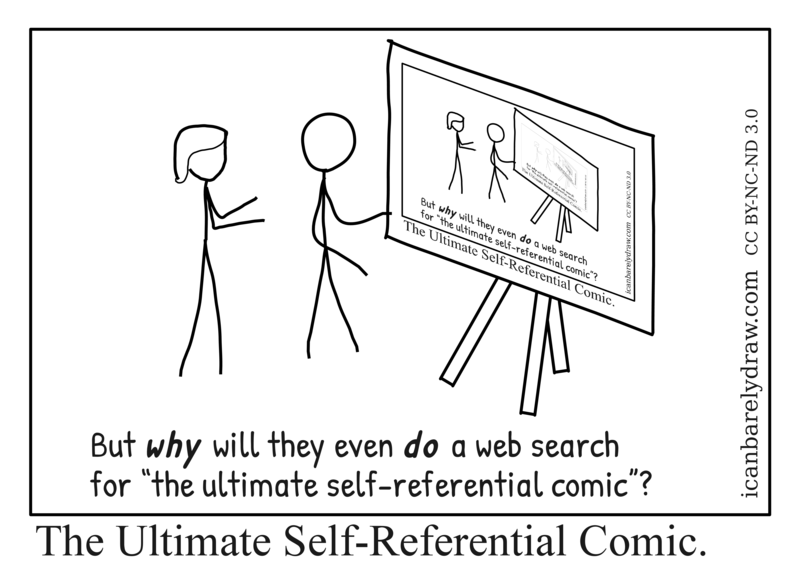 The drawing recursively shows the same two people looking at a drawing on an easel, and so on, to as many levels of recursion -- about four or five -- as the resolution of the original image will allow. Subtitle: But why will they even do a web search for “the ultimate self-referential comic”? 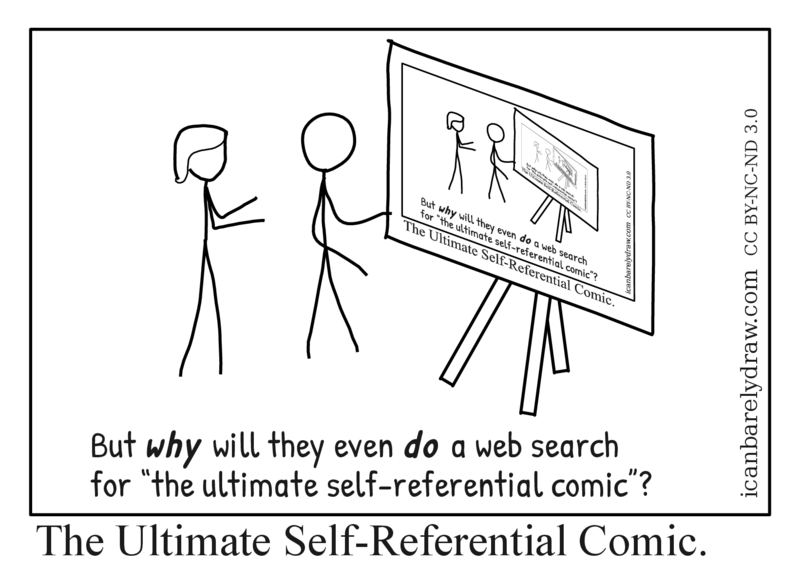 Title: The Ultimate Self-Referential Comic.